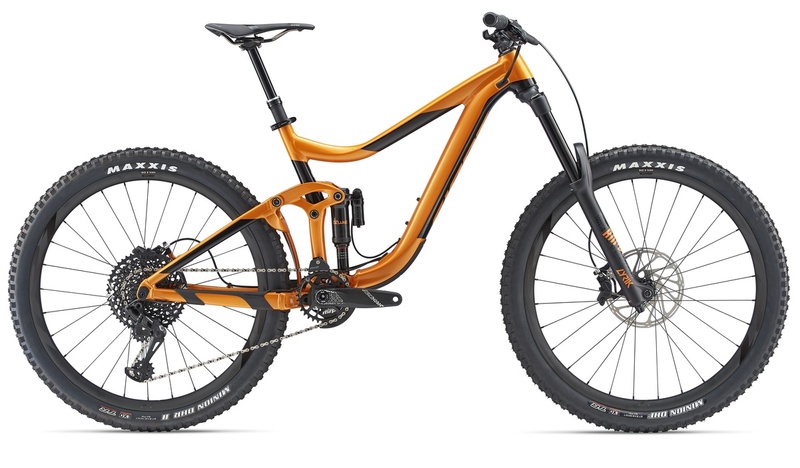 FROM THE BIKE PARK TO ENDURO TRACKS TO STEEP SINGLETRACK SHREDDING, THIS ALL-MOUNTAIN BRUISER HAS SWAGGER TO SPARE. 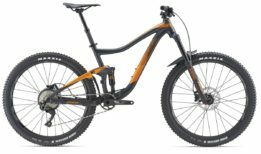 THE LIGHTWEIGHT, SUPER-STIFF ALUMINIUM FRAME IS LONG AND LOW, AND ITS MAESTRO SUSPENSION HELPS YOU FLOAT THROUGH THE ROUGH STUFF. 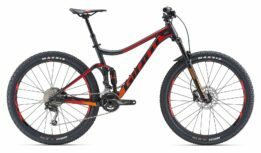 Built on an ALUXX SL aluminium frameset that’s designed to optimize its 27.5 wheels, the 2019 Giant Reign 1 gives you the capabilities and the confidence to push your limits on aggressive terrain. 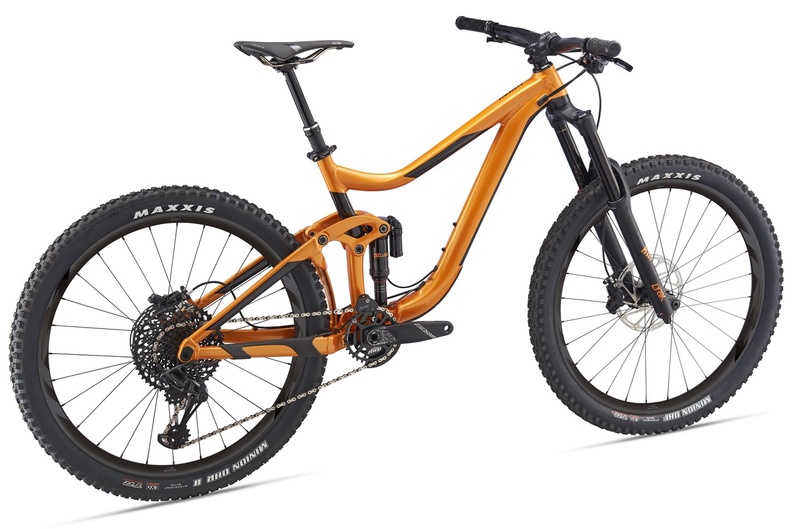 Its trunnion-mount Maestro rear suspension system offers 160mm of smooth, active travel and features a lighter, stiffer Advanced Forged Composite upper rocker arm. Updated geometry with a longer cockpit, a tapered OverDrive steerer tube design, and air or coil shock-compatible mounts are all aimed at maximising control—especially at speed and on rowdy terrain.